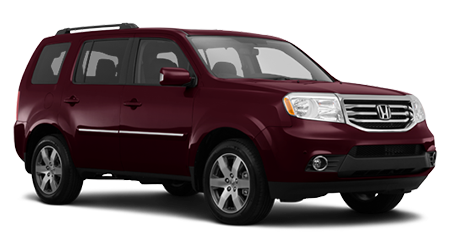 If you need real SUV power and strength, to do real SUV things like tow your boat or camper, the 2015 Nissan Armada should be at the top of your shopping list. And the place you should be shopping is Sutherlin Nissan of Orlando, FL, especially if you are in the Pine Hills, Oak Ridge, or Kissimmee areas. Honda's biggest SUV is the 2015 Pilot, and it's certainly good at carrying people, but it just doesn't have the abilities the Armada has when the going gets tough. The Pilot gets a 3.5-liter V6 motor based on the one in the Accord, and good for 250hp. Every Armada is powered by a 5.6-liter V8 with 317hp. Both have 5-speed automatic transmissions and the option of all-wheel drive. But the Armada uses a real 4x4 transfer case with low range, as opposed to the Pilot's on demand system. The Honda Pilot is designed around the same platform as their minivan, and the whole thing is roughly based on their midsize sedan. 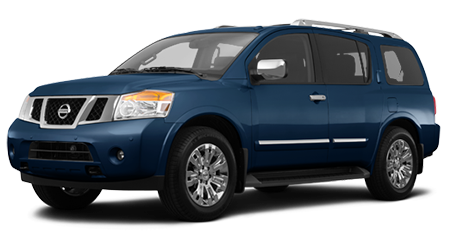 The Nissan Armada has a unique chassis and full steel frame, based on the full-sized Titan pickup truck. Because of this difference, the Pilot has a maximum tow rating of just 4,500lbs, while the Armada with the factory tow package can pull twice that. When you want to get your kids and your toys to the lake or campground, you need the capabilities of the brawny 2015 Nissan Armada. Come take one for a spin at Sutherlin Nissan of Orlando, we've got good deals and a great selection, and we're not far from Apopka, or Longwood.